University benefactor Norma L. Tognino, wife of former board chair John N. Tognino and a warm, fun-loving, and supportive presence in the Fordham community, died on Dec. 1 at St. Barnabas Hospital after a long period of illness. She was 78. Together with her husband, Norma was among the University’s most significant donors, making major gifts to support scholarships and special-needs students. 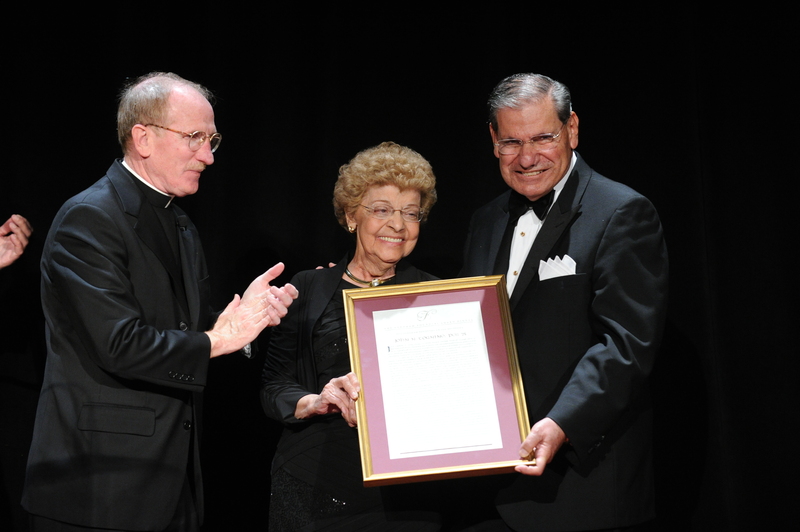 In 2007, Fordham named Tognino Hall in Duane Library in the couple’s honor. Norma could always be counted on to attend Fordham functions and enliven the festivities with her joyful spirit. Many in the Fordham community recalled her warmth, her down-to-earth attitude, and her penchant for making them laugh. But Norma has been missed for the last year and a half; in July 2017 she was involved in a car accident, and since then had suffered through a series of ailments. Norma was born on July 1, 1940, to Ernestine and Ralph Borrelli, a barber. She grew up on Burke Avenue in the Bronx with three brothers, Paul, Anthony, and Ralph, all of whom worked for IBM, and all of whom predeceased her. She and John met at a dance at St. Phillip Neri church, his parish. They married in November 1959. Later, when he was attending Fordham’s School of Professional and Continuing Studies in the evenings, she was “extremely” supportive and played an “intricate role” in his success, said John, a trader who currently owns Pepper Financial Group. His career included 36 years at Merrill Lynch, as well as terms as president and chief executive officer of the Security Traders Association and executive vice president and head of Global Sales and Member Affairs at Nasdaq. He was Fordham’s board chair from 2004 to 2012 and is a current trustee emeritus. “Norma had a deep affection for Fordham,” he said, that began during his years as a student and continued until her death. Throughout her life, Norma nurtured a love for the piano. She took lessons as a young girl and later studied at Juilliard and the London School of Music when she and John lived in London from 1988 to 1991. John and Norma had three children: Katherine; John Jr.; and Michael, a 1992 Fordham Gabelli School of Business graduate. When they were young, Norma was very active in their public schools in Ardsley, New York, where the Togninos had moved after spending their first six or seven years of married life in the Bronx. Norma also served as a member of the women’s auxiliary at Our Lady of Perpetual Help church in Ardsley. The couple eventually made their home in Bronxville, and when her children were grown, Norma worked as a furniture buyer in Westchester. 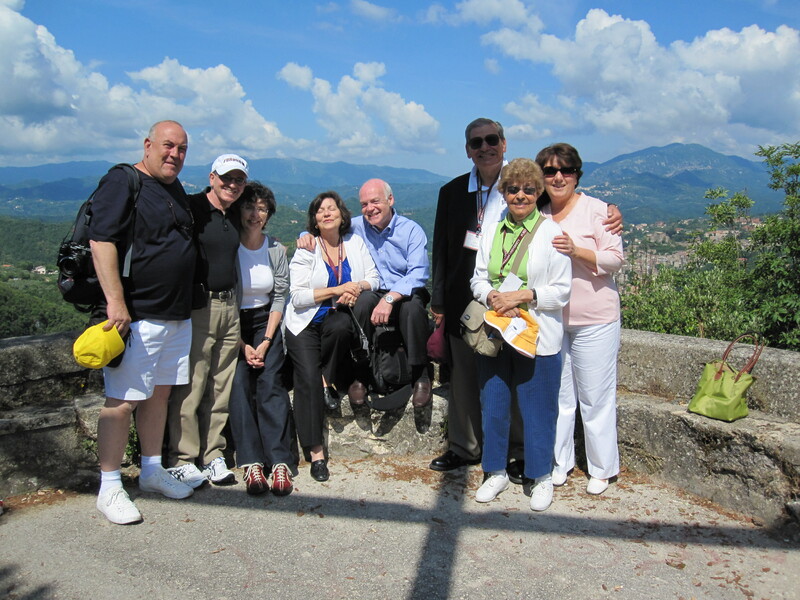 That enthusiasm was evident on the many international trips–several to Italy– that the couple took with Fordham’s Board of Trustees, when Norma would often gather the group for fun dinners and lead the way on shopping excursions. 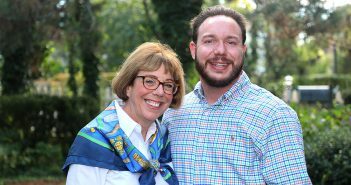 “You could always count on her and John for a great time and a lot of warmth and hospitality and genuine friendship,” said former trustee Pat Nazemetz, TMC ’71, GSAS ’89, who, together with her husband, Jim, socialized with the Togninos in Westchester and traveled with them as well. “When we traveled, Norma could always be relied on for finding the best shops and doing lots of power shopping when we had any kind of breaks from sightseeing,” said Nazemetz. Patrick Ryan, S.J., Laurence J. McGinley Professor of Religion and Society at Fordham, accompanied the Togninos on a trip to the Amalfi Coast. 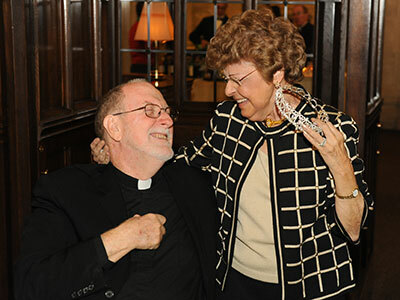 Father Ryan also played a part in toasting the couple for their 50th wedding anniversary, which they celebrated with a party in Tognino Hall in 2009. It began: “Sing with me a song of Norma:/ Fifty years ago today/ She was wed, not just pro forma/ To the guy she brought to bay. 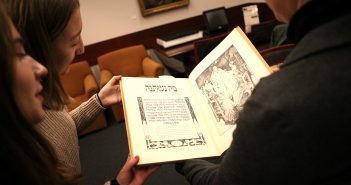 Whatever struggles she might have been going through—a fall or an illness, for example, “it never wore her down,” Nazemetz said. One time, Nazemetz and Norma were discussing whether they should go to Las Vegas, which Norma loved, or travel to Italy. In addition to John, Norma is survived by her children, Katherine Albanese and her husband, Mark; John Jr. and his wife, Teri; and Michael and his partner, Jennifer, and the Togninos’ five grandchildren, Christopher, John III, Michael Jr., Joseph, and Isabella. A Mass of Christian Burial will be held on Friday, Dec. 7, at 11 a.m. at the University Church on Fordham’s Rose Hill campus. There will not be a wake. In lieu of flowers, contributions may be made to the Tognino Family Endowed Scholarship Fund at Fordham or to the Alexander Tognino Foundation, 547 Saw Mill River Road, Ardsley, NY 10502.